With most of the American population spending an estimated 90 percent of their time indoors, ensuring the health and well-being of employees has become essential for modern-day businesses. While building certification systems have been around for more than a decade, they have more recently grown in popularity as the trend of wellness is embraced by corporations across the country, reports Bisnow. In the push for better buildings and a healthier workforce, LEED, WELL and Fitwel have emerged as trusted methods to evaluate an office building and its suitability for companies and their employees. “We’ve certainly seen a transformation in the market as material manufacturers have adapted to these standards, and building codes globally have adopted many of the LEED standards that have, in addition to sustainability merits, allowed them to attract more tenants and boost employee productivity and retention,” Retail Design Collaboration and Studio One Eleven Sustainability Director Sara Hickman said. The push for sustainable buildings first began during the 1970s when concerns about climate change emerged, but it was not until the early 2000s that green building certifications truly took off. LEED was initially created with the environment in mind, though it was not long before companies started to notice the benefits of sustainable building for employees. A study by the National Institutes of Health found that companies that moved from a non-LEED-certified building to a LEED-certified building found that just three months after moving, employee absenteeism due to physical illness declined by more than half, as did the number of hours they were away because of depression or stress-related conditions. As the country faces tight labor market conditions, it has become even more important to attract and retain talent — not just by offering an aesthetically pleasing workplace, but creating an environment focused on health and well-being as well. WELL certifications have become increasingly important as another building certification focused on occupant health, improving the quality of life and increasing productivity. The certification is based on research conducted by the American Medical Association, the Cleveland Institute and the Green Building Council, and focuses on seven key performance indicators: air, water, nourishment, light, fitness, comfort and mind. Like LEED, WELL recognizes that elements such as air quality can have a major impact on employee health, which is why many WELL-certified buildings focus on incorporating things like central ventilation systems that bring in purified outdoor air and reduce humidity to prevent mold and fungal growth, Condeco reports. With close to 26 million people across the U.S. living with asthma, according to the American Lung Association, these preventive measures have become key to maintaining a strong workforce. Fitwel was created by the Centers for Disease Control and Prevention, the General Services Administration and a number of public health and design experts. The program seeks to impact employees through encouraging increased activity, providing access to better nutritional choices and improving the indoor environment. It was rolled out in 2015, but began to catch on in the industry following an 89-building pilot project that took place in urban, suburban and rural buildings across the country. Now, despite having LEED certifications, companies such as Canada's Menkes Developments are pursuing Fitwel certifications at a number of properties in an effort to take employee health to the next level. From encouraging more movement and social interaction to installing better lighting and stocking cafeterias with healthy food, Menkes has made a commitment to invest in the well-being of its people. According to Retail Design Collaboration and Studio One Eleven's Hickman, these initiatives go well beyond impacting the individual employee — they affect the team as a whole. As organizations become more informed of these building certifications and the many benefits they bring to the workforce, it has changed the process of finding new office space. 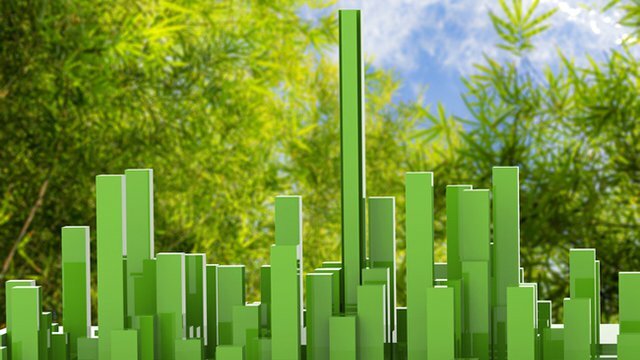 “Green building certifications are a critical tool in corporate sustainability reporting, which is being demanded by investors. Class-A office portfolios are now being benchmarked by performance criteria ranging from energy and water to waste and building policies,” Hickman said. Where companies used to focus on location, cost and size, those elements are taking more of a back seat in the search for healthier workspaces. “Now we’re encouraging (companies) to ask better questions like can you provide your latest air quality report (and) have you done any natural light penetration studies on the space? Those are things that impact employee happiness, health, productivity,” JLL Executive Vice President Consulting & Transaction Services Michael Case said.